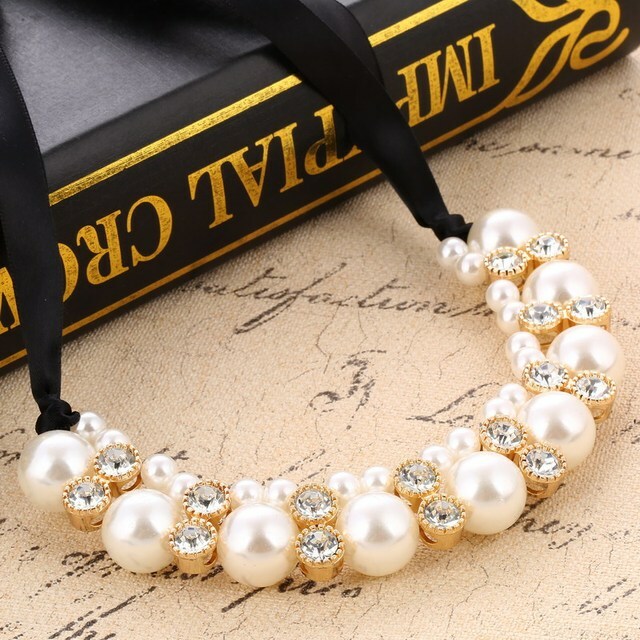 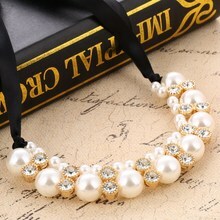 The simulated pearl necklace is a soft combination of pearls, crystals, and gold. 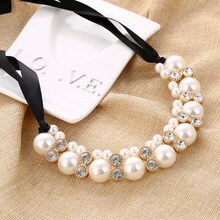 It has a light presence that complements the colors pink, blush and raw. 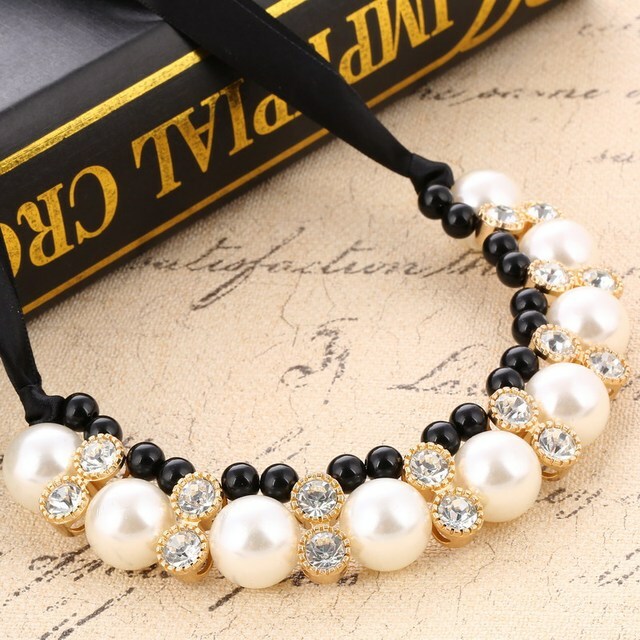 A beautiful addition to a spring wardrobe.